There’s gonna be some zine action at Uncanny Valley 2013. 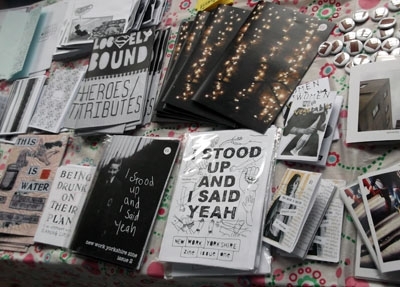 Zines is a broad term to describe a vibrant, flourishing and richly creative print culture characterised by independent, DIY, small press and artist books. These beautiful, unique and often bizarre creations cover all of human life and beyond. Zines are ephemeral and marginal. Printing and self-publishing at the margins of culture has a long and lustrous history; from the 18th century political pamphleteers, through to science fiction/fantasy fandom in the 1930s, art/illustration assemblages, punk zines and feminist zines in the 70s and 80s. The development of animation has an obvious debt to print culture, especially comics – the principle sequential format. 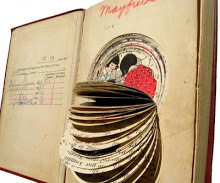 Comics, and comic strips developed in the second-half of the 19th century, the same time that zoetropes flourished and created the illusion of motion by spinning a strip of still images inside a cylinder. The Zine scene, like animation is a practice explored by artists, illustrators and designers who bring world’s into being and constantly challenge preconceptions. Techniques such as collage, montage and bricolage are used in zines and animation film. Both practices have a DIY impetus about them – animations can be made with the simplest of resources, cut paper, plasticine, scratching or making marks on found film. 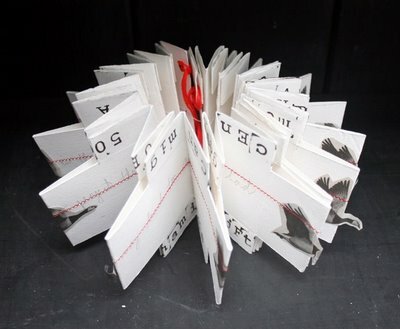 Some beautiful zines and artist books can be seen at Leeds Artist Book Collective. For Uncanny Valley, we’re planning to bring an established pop-up zine library to Hebden.